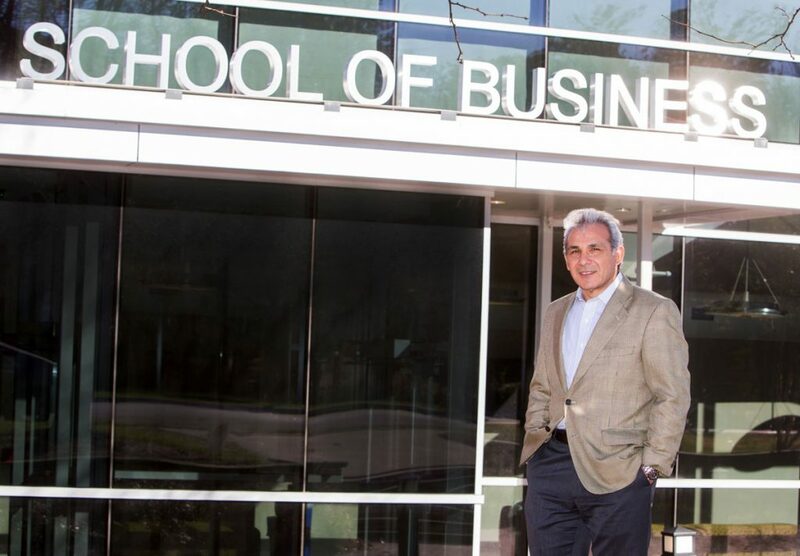 Home Tags Posts tagged with "School of Business"
Alumnus Rick Capozzi graduated from Southern Connecticut State University's School of Business in 1983. Today, he's a leader in the world of finance. As a high school football star from northern New Jersey, Rick Capozzi, ’83, was being actively recruited by several NCAA Division I universities when he broke his back playing in an all-star game at Giants Stadium. He recovered from the injury, but was no longer a top Div. I prospect. Southern, however, was interested and Capozzi soon was playing in New Haven. “The first year was tough,” says Capozzi, of his shift in plans. “But I came to love Southern.” Majoring in business administration, he played football for the Owls for three years. He also was a nationally ranked power lifter and served as a residence hall adviser. The latter, he says, provided a crash course in leadership and responsibility. 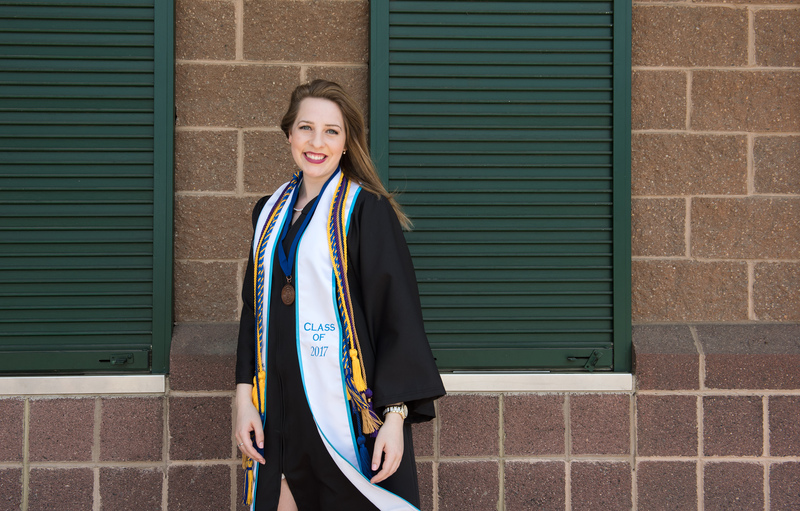 The skills honed on campus fueled Capozzi’s post-graduation success. He held senior management positions at TD Private Bank, Merrill Lynch, UBS, Wells Fargo, and other industry leaders. His tenure at Morgan Stanley helps illustrate the breadth of his experience. As national sales manager at the organization, he was responsible for the firm’s network of 8,000 financial advisers in nearly 500 offices across the U.S. — and as Morgan Stanley’s regional director, he oversaw more than $35 billion in assets. 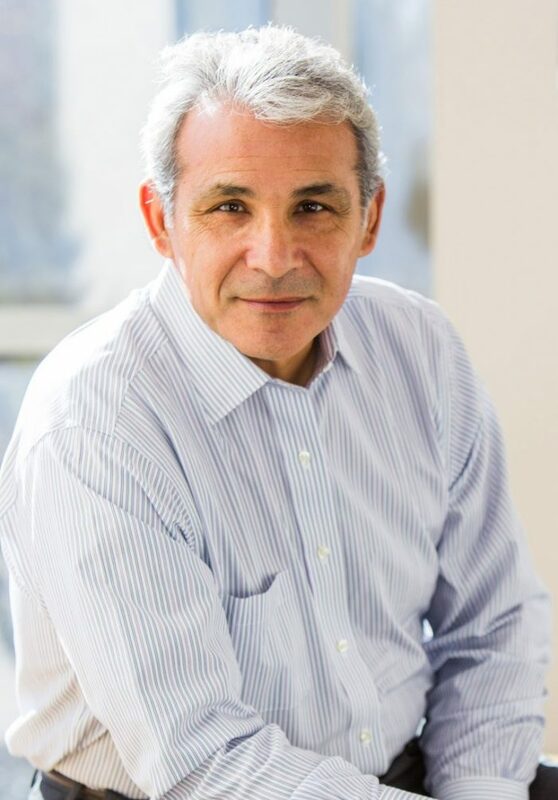 Building on such experience, he founded Capozzi Advisory Group in December 2014. “After 30 years on Wall Street, I wanted to be a bit more entrepreneurial,” he says. Today, he’s a sought-after consultant and speaker, who’s made more than 1,200 keynote presentations throughout North America, Europe, the Middle East, and Asia. He’s also a successful author, whose most recent book, “The Growth Mindset: Leadership Makes a Difference in Wealth Management,” outlines strategies for success. In November, Capozzi, who serves on the Business Advisory Council for Southern’s School of Business, returned to campus to meet with students. Following he shares a few of his thoughts on thriving in business today. Capozzi: Because of technology and innovation, we are facing arguably the greatest period of change in the business world in our lives. If you don’t have a growth mindset — meaning if you are not constantly thinking about ways to grow both professionally and personally — you will fall behind in this rapidly changing economy and world market. Describe someone with a growth mindset. Two words come to mind: responsibility and curiosity. Someone with a growth mindset wants to know more about the world around them and they take full responsibility for their lives. They always believe they can improve. What are some of the changes shaping business? In my world [economics and finance], the disruption comes from technology — algorithms and robo-advisers. You call in, basically talk to a computer, and based on your responses, it will, in essence, try to manage your money. In other industries, some of the best examples of disrupters are Uber, Airbnb, Amazon, and Tesla, the electric-auto manufacturer. Think about how much disruption Uber has caused — and they are able to do so because of technology. Uber is basically a technology company. We have no idea where artificial intelligence will lead to in the future. But we know that technological innovation is not going away. It’s going to accelerate. What’s the effect on the personal level? Everyone in the business world needs to ask: Can a robot or technology do my job? If the answer is, ‘Yes’ or ‘At some point soon,’ you are probably going to become less relevant unless you take steps. You stress the importance of the human component as a way of maintaining a competitive edge. Communication skills are paramount in this economy — and I stress this whether I am talking about leadership with college students or management directors. Seventy percent of our economy is service-based. If you don’t have the right interpersonal and soft skills, it will be hard for you to compete. People generally do business with people they like. It’s best to form those relationships face to face. . . . If I look you in the eyes when negotiating, I can learn more in three seconds than through 25 email exchanges. I am a big proponent of mentors. Based on the research I did for my book, you are never too old for mentors. I know CEOs who have run organizations with 50,000 employees — leaders who are 70 years old — who still have mentors. Being a mentor is also important. I consider myself a student teacher. Did you have a mentor at Southern? I had several. One was my philosophy professor Dr. Mohan [professor emeritus of philosophy]. He opened doors to a world that didn’t exist to me before. I’m from the Class of 1983 — but philosophy is still at the core of what I do today. 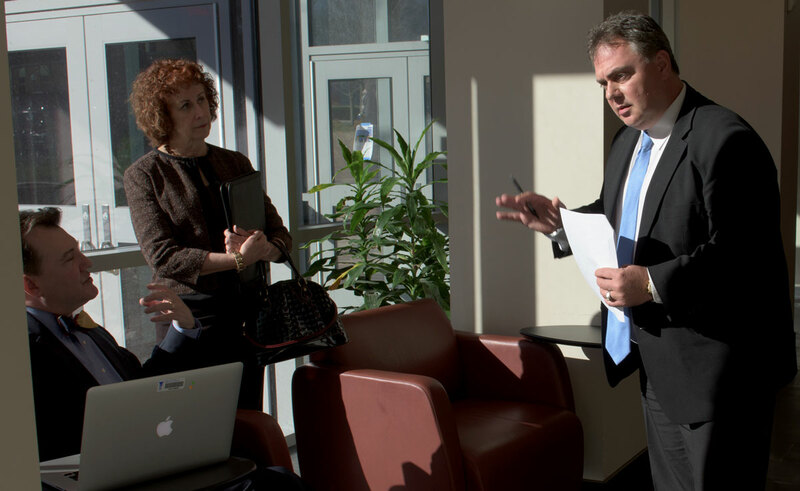 Rick Capozzi during a recent visit to Southern, where he is a member of the School of Business Advisory Council. It all started with a belief system. I was absolutely certain that if I wanted something badly enough, no one — no matter who they were — was going to tell me I wasn’t going to achieve it. That belief came from my parents and my siblings. They stressed a strong work ethic and the ability to persevere no matter what. Also, if I didn’t know something, I was not afraid to ask. I wasn’t afraid of surrounding myself with people who were in some way smarter than me. In fact, my goal was to hire people who had a skill set or knowledge that I didn’t. Finally, I never stopped learning — and I’m not just talking about the business world. It’s all about curiosity. What’s something you’ve learned about recently? My daughter wanted to go shark diving with great whites, so I went. Why? Because I was curious to see what great whites look like from a foot away. 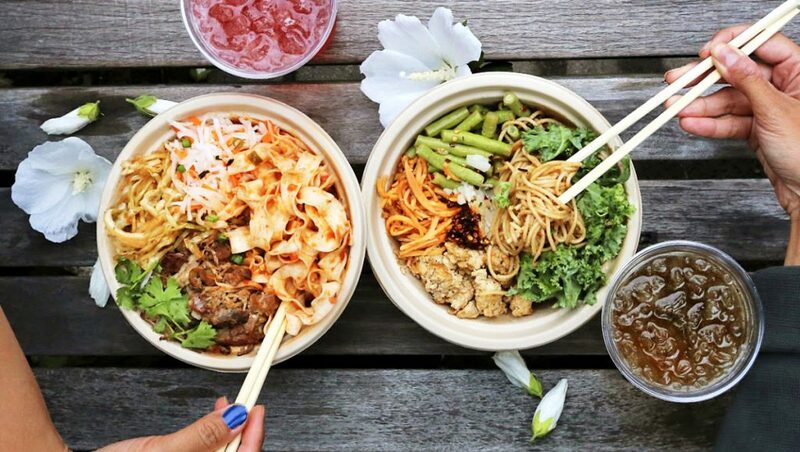 New Haven is a foodies' paradise — with Junzi Kitchen among students' favorite new dining hotspots. Alumnus Andrew Chu, '10, MBA '13, the restaurant's director of operations, reflects on the excitement of working for the successful startup — and how Southern helped prepare him for the feast. Andrew Chu, '10, MBA '13, is director of operations at Junzi Kitchen, a student favorite in New Haven. Andrew Chu, ’10, MBA ’13, is energized by the lightning-fast pace of a restaurant startup. “If I went to a 9 to 5 desk job, I would be incredibly bored,” says Chu, director of operations for Junzi Kitchen. 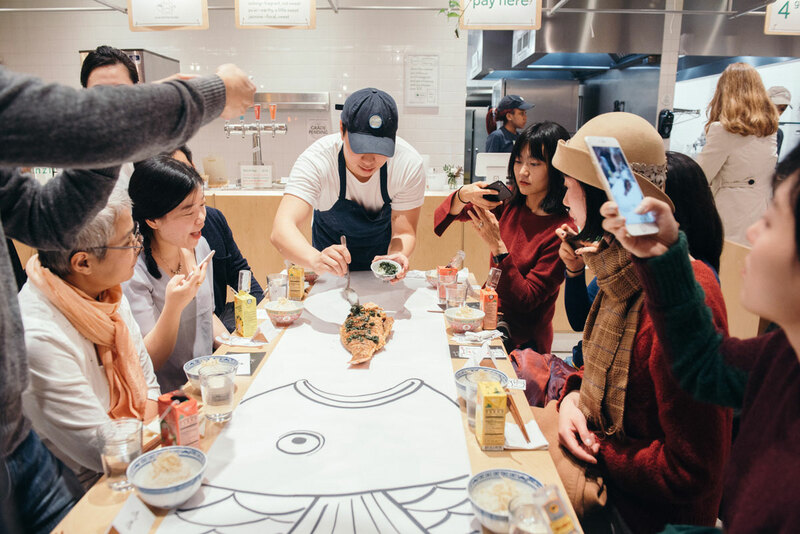 The restaurant, which was founded in New Haven in 2015 by a group of Yale University alumni, has already expanded to include several New York locations, all specializing in northern Chinese cuisine. Chu was among Junzi’s earliest team members — drawing on experience gained from his family’s restaurant background and two Southern business degrees. Both prepared him for a rewarding, demanding schedule. At Southern, he was a graduate intern, a resident hall adviser, an orientation ambassador, and treasurer of the Cultural Affairs Club and the Ski/Snowboard Club. “I was one of those kids,” says Chu, who also worked off campus — and served on what is now the Connecticut State Colleges and Universities Board of Trustees. In the following interview, he shares his thoughts on Southern and business. How did you become involved with Junzi? It was really through networking and living in New Haven for so long. I moved to New Haven when I was 17 — so I’ve been in the city for some time. Mutual friends were working with Junzi’s co-founders at the very beginning. One of my friends, Reed Immer, who is a New Haven local, signed on to do marketing. He introduced us, and my background fit. My upbringing was in Chinese restaurants. My family had a restaurant in Middletown, Conn., called Debbie Wong Restaurant. We also had a few in Massachusetts. They were banquet-style restaurants — most 65 – 70 seats — with the location in Middletown seating about 300 for weddings, Lion’s Club meetings, and other events. So it was more of an operation. So it’s in your blood. It’s kind of ironic. My dad will say to me: ‘You didn’t want to take over the restaurant when you were younger. Then you went, got all of this college education, and now you want to get back in the restaurant industry.’ But Junzi is very different from your traditional, neighborhood Chinese restaurant. I saw a great opportunity for growth and forward momentum. What are your responsibilities with the restaurant? I am one of the operations managers for the company. In 2015, there were only seven of us. With a recent hire, we are at 17 employees now, so we’ve grown considerably in three years. In the beginning, I oversaw store operations. But now I am happy to be transitioning into more of an HR [human resources] role, which I enjoy immensely. Working closely with people on communication, making sure policies are followed. And I still get to have my hand in a little bit of everything else. You earned two business degrees at Southern. Did you always plan to major in business? From high school on, I had a business track in mind. I was interested in marketing as an undergraduate. In terms of the MBA degree, I was given an amazing opportunity to become a graduate intern for Judicial Affairs [at Southern]. So I was earning my degree while gaining experience. How did Southern help prepare you for your career? Serving on the board of trustees for what was then the Connecticut State Universities system was instrumental — especially doing so while going through Southern’s business program and earning my MBA. I was able to take what I was learning in the classroom and apply it to a real-world setting. That experience definitely taught me to hold my own . . . to be able to walk into a room of senior business leaders and understand what they were talking about. I remember there being a $171 million budget just for Southern. So I gained an understanding of those type of numbers, and I was part of meetings and conferences where all different aspects of business were discussed. It was very exciting. [laughs] It was also very nerve-wrecking. But it gave me experience. I also had side jobs while attending graduate school. I was a sales rep for a snow board company based out of Waterbury, Vt., and worked at a retail store out of Berlin, Conn. I like to stay busy. Was there anyone at Southern who had a particularly strong influence? 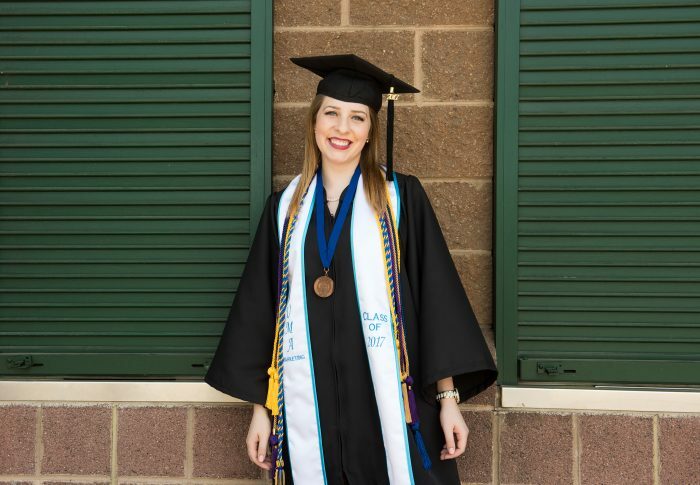 The board of trustees was a huge influence.Then, without question, my graduate internship with Student Affairs — and all of the administrators I worked with [through the division]. Chris Piscitelli [assistant dean of students and director of student conduct], Denise Bentley-Drobish [director of student involvement], Sal Rizzo [director of new student and sophomore programs], and Eric Lacharity [interim associate director of student involvement] — all had such a major impact. A lot of it was them stressing the importance of getting involved and networking. That helped me exponentially get to where I am today. The restaurant also takes reservations for a monthly chef’s table, featuring culinary specialities. The restaurant industry has a reputation for being very demanding. I’d imagine that would be even more so with a successful startup. At the very beginning, it could be discouraging: having six-day work weeks and 10-plus hour work days. Without question, you do have to work extended hours. But it helped build me into a better person. I’m more professional and more organized. I’ve learned so much from them. And, honestly, I live for this. If I went to a 9 to 5 desk job, I would be incredibly bored. Looking forward, where do you see yourself 10 years from now? I would tell them to get experience while they are earning their degrees. I know that it is incredibly challenging for a lot of young people to know what they want to do — to think, for example, I want to ultimately be the VP of human resources for a major company. That’s why I encourage people to start exploring different aspects of business while they are going to college. I thought I wanted to do marketing — and low and behold . . . I’m interested in HR. It’s also very much about networking. Building relationships. Putting yourself out there, even if it makes you nervous. Networking is what helped me get to where I am today. It’s what’s helped the business [Junzi] expand. We’ll end with something light. What’s your favorite dish at Junzi? Junzi has a “build your own”-style menu. I really like the jaja noodle bowl. I build that with spring noodles, the jaja sauce, pork as the protein — all stir-fried with a little bit of cucumber and scallions to top it off. That’s my go-to combo. Modeling and pageants held allure as well. A passageway in the family’s home became an impromptu runway for the young Daley, who practiced walking with books balanced on her head. She also spent hours happily watching pageants with her mother — “a petite, gorgeous woman,” she says. “The expectation was for me to be a contestant someday. Unfortunately, I was not the size you are ‘supposed to be’ in these competitions,” she says with a smile. Growing up, Daley unsuccessfully tried a slew of diets. “At home I was a social butterfly. I felt beautiful, loved and supported. At school I was the reserved child in the corner. I was teased constantly about my weight,” she says. Shying away from social gatherings, Daley focused on her school work — and teachers gradually noticed the quiet girl in the back of the room who received top marks. “For some kids, it’s soccer. For me, it was school work. I had found my strength. Then came the revolution,” says Daley. 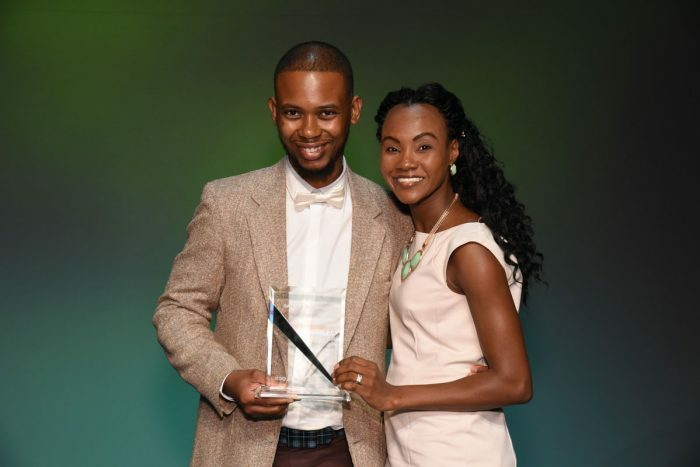 She became a peer counselor and the prefect of her class, and went on to graduate valedictorian of Pembroke Hall High School in Kingston, completing her studies at the age of 15. After furthering her education at a second high school, she was accepted at the University of Technology (UTech) in Jamaica. “It’s famous in the U.S. for our athletes — Usain Bolt and Asafa Powell,” says Daley. When Daley signed on to a program that permitted students to work in the U.S. during the summer, her uncle made her work clothes as well. Staying with extended family in New York City from May to August, she held a variety of jobs, often simultaneously. She worked as a junior auditor at a law firm, babysat, and took shifts at McDonald’s and Old Navy. Then it was back to UTech to finish up to eight classes a semester. A modeling career also has become a reality for Daley, who entered her first modeling competition — Full Figured Fierce — after being inspired by the organization’s message of “empowerment, self-love and positive body image.” She won the online competition and has gone on to additional modeling work, most recently gracing the cover of the September issue of Queen Size Magazine. 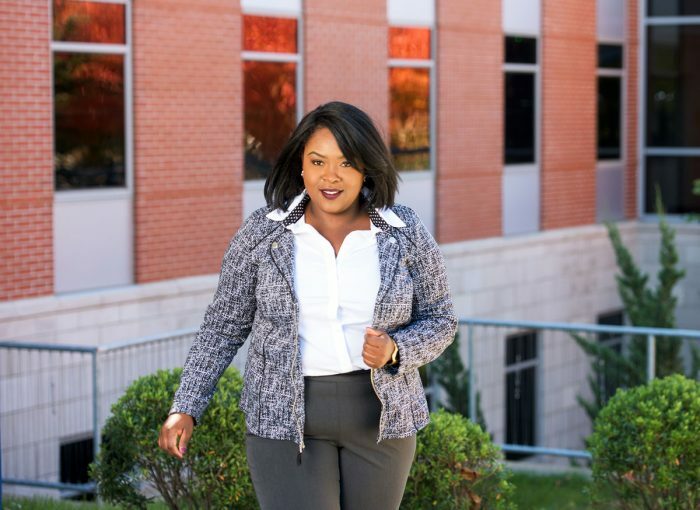 The photo shoot, which focused on “clothes college students need in their closets,” took place on Southern’s campus. Daley suggested the site. After modeling for the publication several times, she was asked to serve as its fashion editor. She says she’ll always be drawn to fashion and plans to revisit her dream of opening an online clothing store. But another issue has become a driving force as well. Working with classmate Asa Cort, Daley hopes to launch #trustfund, a seminar covering financial topics for young people and their families. “This seminar not only will cover money management, but also the important role education plays in developing financial stability,” says Daley. It was a simple suggestion that grabbed the attention of Modern Plastics President Bing Carbone: If he hired someone for just six hours a week to update social media accounts, brand recognition would rise and marketing costs would drop. 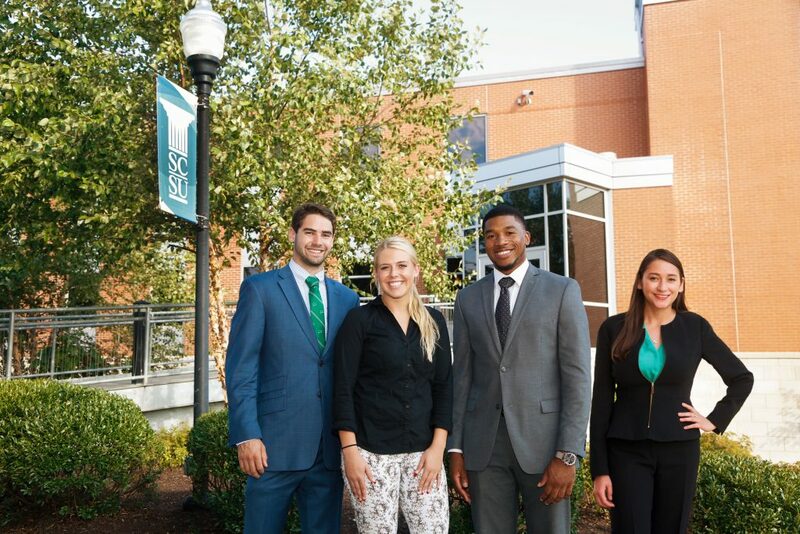 That nugget of advice – backed by solid market research – came not from a high-priced consultant, but from a group of five business-minded students at Southern Connecticut State University. The hiring recommendation was part of a larger social media campaign to help the Shelton-based plastics distributor increase profits and boost sales of two older products, Plexiglas acrylic and COVESTRO MAKROLON® Polycarbonate. 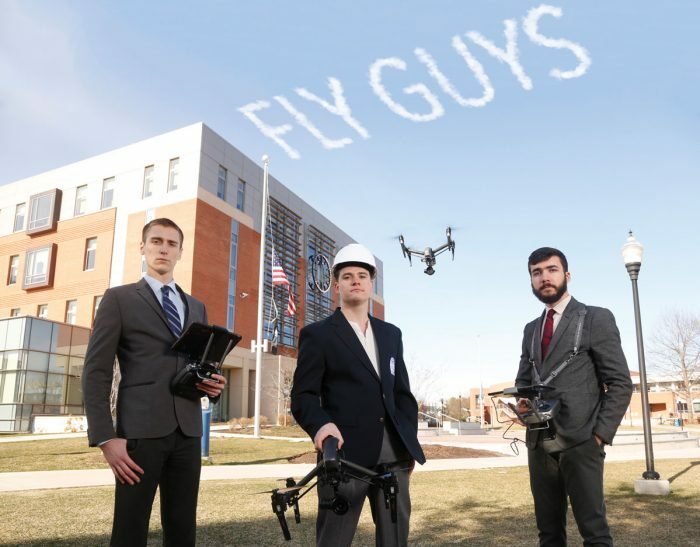 The proposal netted the students a $1,000 prize from the company. 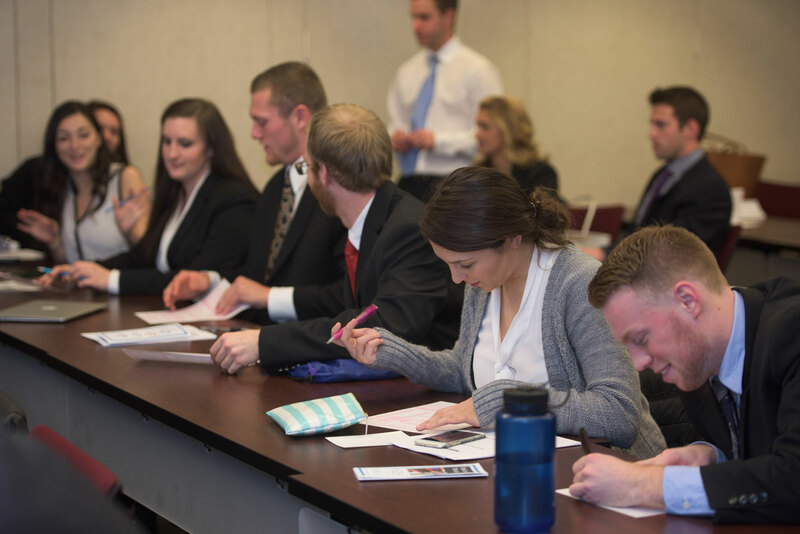 The presentation was the culmination of a semester-long project aimed at giving students a real-life experience in the business world, says Robert Forbus, associate professor of marketing and assistant to the dean of the School of Business. The project was part of a marketing class he taught during the fall semester. Forbus divided the class into six teams, asking each to research ways Modern Plastics could tap back into the Plexiglas and polycarbonate market. The company shifted its focus away from those products over the years, favoring the larger profit margins of high-end engineering and medical grade plastics, but other companies have found them profitable. Forbus then gave the teams 10 minutes each to pitch their ideas. The winning team suggested numerous ways the company could increase sales by stepping up its online presence – using blogs, targeted ads, discounts and promotions and more frequent and engaging Facebook posts. 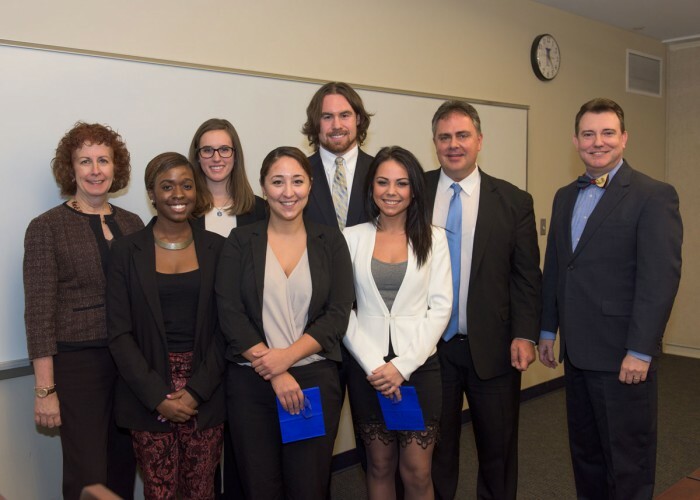 Carbone said just as he had hoped, the students approached the problem with fresh ideas and a youthful perspective. While he intends to use some recommendations from each team’s presentation, he said the winners stood out by offering something he could implement immediately. Carbone said he’s thinking about offering the new social media position to a Southern student as an internship. 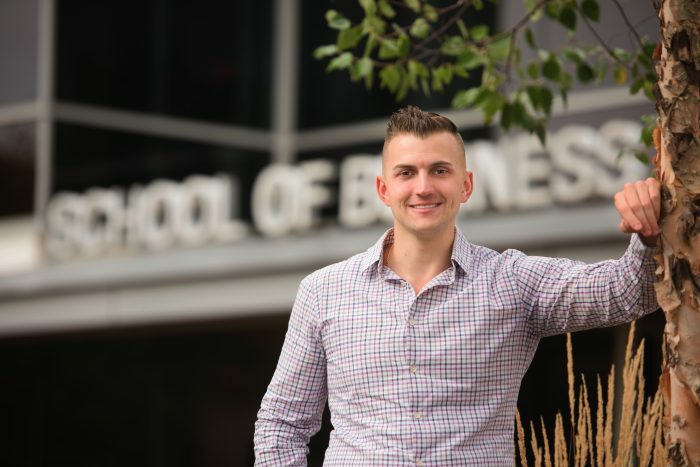 The university-business partnership began after Carbone approached Judite Vamvakides, SCSU director of annual and leadership giving. Carbone’s two daughters attend Southern, and he said he wanted to give something back. 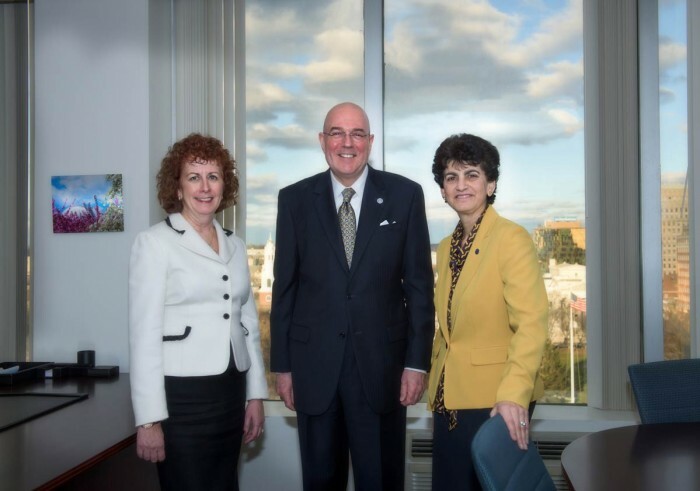 Vamvakides arranged for Forbus and Provost and Vice President for Academic Affairs Ellen Durnin to tour the plastics company, and during their conversations, the contest was born. Members of the winning group said the experience was nerve-wracking, especially since they had to start more than three weeks before the deadline after being told their first plan wouldn’t work. 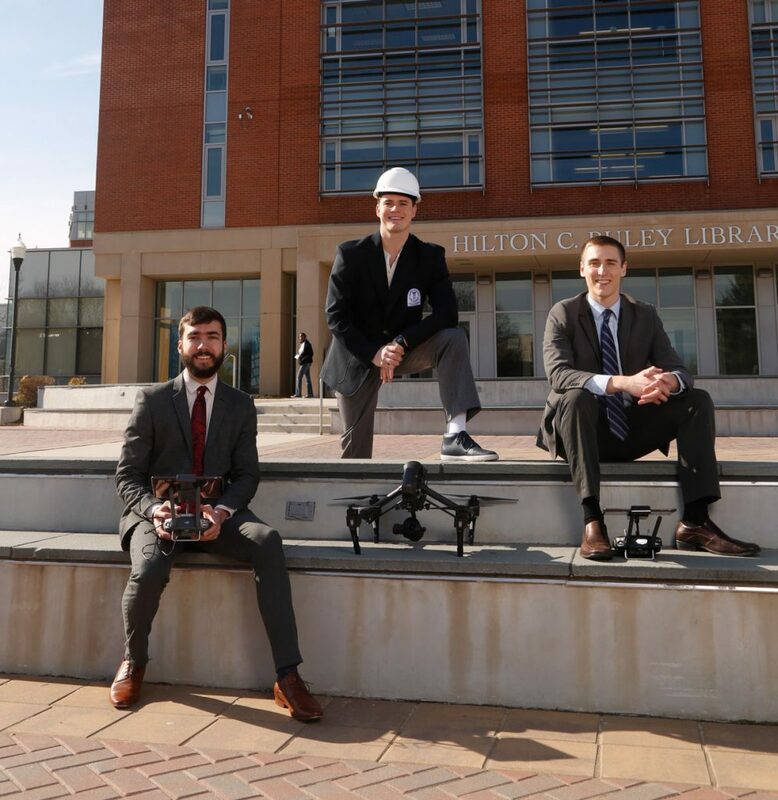 “We initially wanted to do something with 3-D printing, but they didn’t have the manufacturing ability, so we had to start from scratch,” said senior Charlie Dunn. Junior Chanelle Clarke said the presentation helped her overcome her fear of public speaking. “I was really shy and nervous about the whole process, but my teammates really encouraged me to go out there and kill it,” she said. 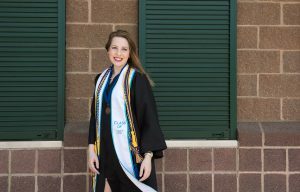 Senior Brielle Grestini said the most valuable lesson was learning how to work together as a team. Other winning team members were seniors Ashley Tomanio and Melanie Sivo.